My name is Phil McArdle on behalf of Rick’s Family & Friends I have been asked to give a brief overview of our Friend and & Co-worker. Our friend Rick is a retired NYC Firefighter who for many years made a career out of helping others. Rick worked in some of the busiest companies in the FDNY. Rick responded as did many other of his fellow firefighters on 9/11/2001 to the World Trade Center. Rick was part of the rescue and recovery effort; during that time as with most of his life he didn’t think about himself, he thought only about others. Because of his efforts he developed a number of 9/11 related illnesses which included cancer that he is being treated and being monitored for. 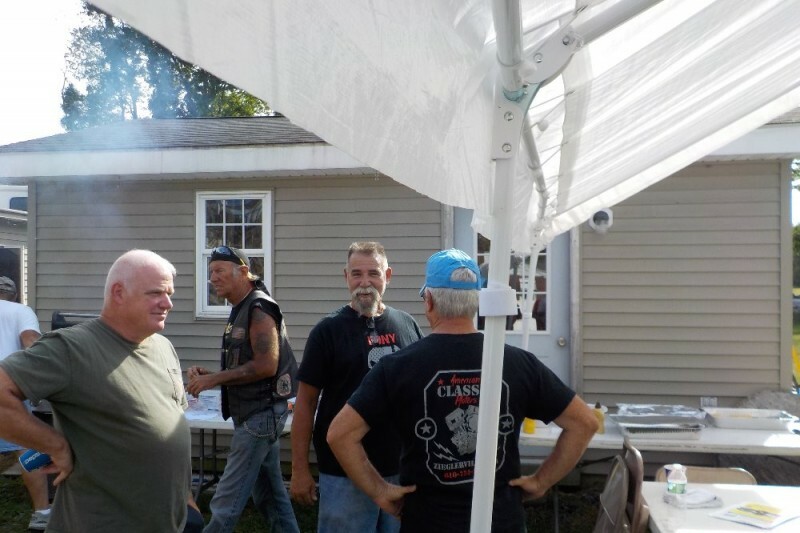 His commitment to helping others didn’t stop there; he continued to help in the community in which he lives as a volunteer firefighter of the Pine Bush Volunteer Fire Department. It was this dedication to helping others that brings us to the event of which I am about to tell you. 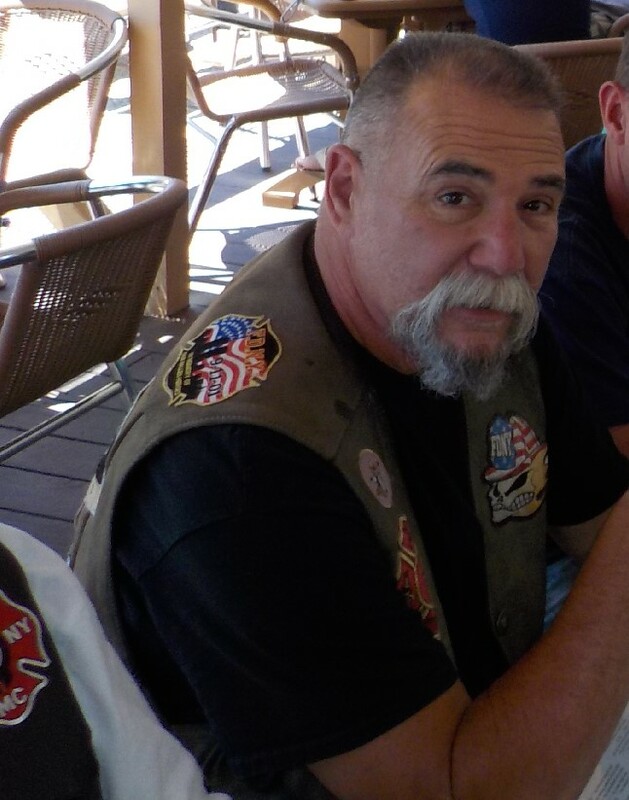 On October 5, 2016 at about 5:00 pm Rick was riding his motorcycle and on his way to his Volunteer Fire House, to help teach a class, when he was involved in an accident. Rick was driving straight on a roadway when another vehicle, not seeing Rick, made a left turn right into Rick’s path. The impact threw Rick off his motorcycle over the car that hit him as well as over another vehicle. Rick lay on the roadway severely injured. First arriving Police and Fire units had to put a tourniquet on Rick’s leg to stop the bleeding from a severe open compound fracture of the right leg. Because of the severe injuries Rick had, he couldn’t be treated at the local hospital. Rick was stabilized at the scene, triaged, packaged and prepared for transport to a regional trauma facility. He Rick was airlifted to the Westchester County Medical Center in very critical condition. Compound open fracture of the Tibia and fibula with approximately 10 cm. of bone missing. Rick has had a number of procedures done at the hospital, to stabilize and treat some of his injuries. However he also had some complications that required other procedures to be performed. Since the time of the accident until now Rick has been sedated and intubated and is not aware that they had to amputate his right foot and part of the leg. Rick has also developed aspirated pneumonia which resulted in the doctors having to do a tracheotomy. Rick is by no means out of the woods yet. He still has a long way to go before he goes to the Helen Hayes Hospital and Rehabilitation Facility located in West Haverstraw NY. As you can imagine the med flight & medical bills for this are astronomical; this is before he even gets out of the hospital. The estimates now are close to if not exceeding $500,000.00. This does not take into account what it will cost Rick and his Family at Helen Hayes Hospital. There is also the cost of prosthetics and having to install some type of handicap accessible entrance to Rick’s home when he eventually gets there. 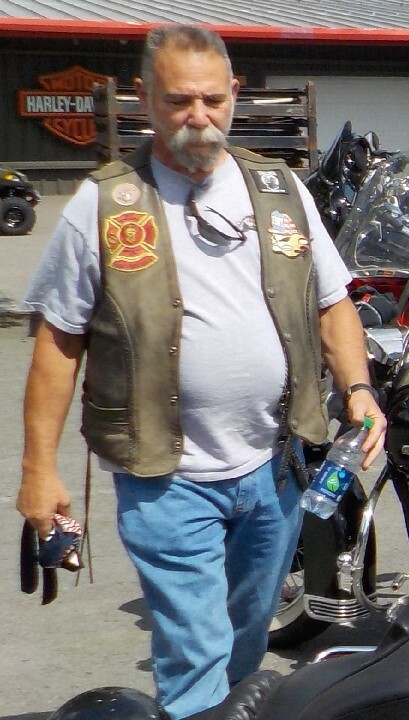 Since Rick and his family live some distance away from these facilities, they have had to stay in some hotels when they could; this, eating meals on the go, as well as travel expenses when they have to get back and forth, just so they can be with Rick, is also putting a heavy strain on the family budget. Everybody knows, especially in today’s world, that insurance does not cover everything; Rick and his Family need your morale support and financial help now! Now its payback time; let’s give back to Rick and his family. Rick has so given so much of himself; to everyone else. Rick and his family need your financial assistance now. Americans by their very nature are very caring and generous. We pride ourselves in helping people in need. To the guy who helped everyone else let’s return the favor and show Rick that we appreciate all that he has done to make this a better world in helping his fellow man. On behalf of Rick, His Family and all of his Friends we want to thank you in advance and hope that you will find it in your heart to help. Please pass this on to all your family and friends. We would like to say thanks to all of you who have been so generous, please continue to keep Rick and His Family in your thoughts and prayers and keep passing this information on to your family and friends. Rick is scheduled for another surgery today to replace a feeding tube that has been providing him nourishment. Although this procedure should not take long it definitely is putting a strain on him and his family. Ricks condition continues to improve and he is becoming more vocal to the people around him. 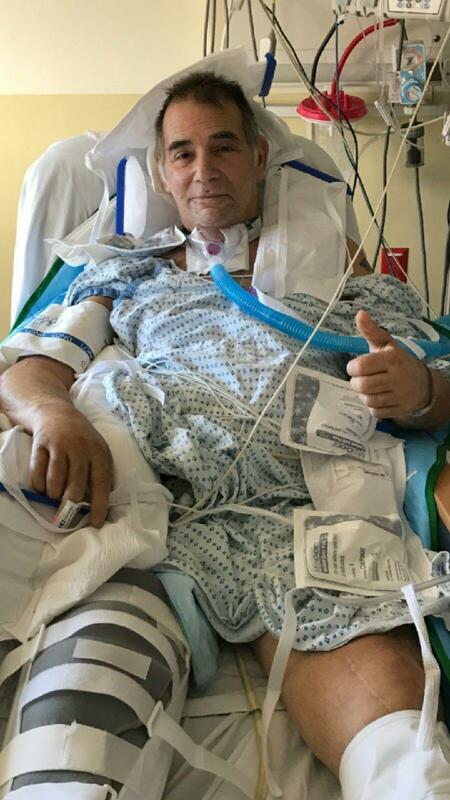 Rick is getting closer to the move to Helen Hayes Hospital in West Haverstraw NY for his rehabilitation which will take months. On behalf of Rick and his family we would like to THANK all of you; who so generously are giving to this campaign. Your act of kindness is not going unnoticed and we are asking you to do us one more big favor; Please, please, please spread the work about Rick. He has been in the ICU at Westchester County Medical center since October 5. We feel the more people we can get this message to, the more help Rick and his family can get. We getting closer to the half way point of reaching our goal. We all know how generous Americans are if they know someone needs help. Thank you again for all you have done and continue to do on Rick’s behalf. Keep Rick and his family in your thoughts and prayers. God bless you all and God Bless America. Rick is still struggling and is making slow but steady progress. Please keep Rick and his Family in your thoughts and prayers. Keep spreading the word, many hands make light work. Keep telling Family & Friends and get them to post and share on facebook and twitter. Rick's Family is extremely thankful for all your help and support. We were hoping that you could help us with supporting one of our seriously injured members. We are not only looking for financial support, we are looking to get the word out there. We feel the more people we can reach the more likely we are to reach our goal and support Rick and His family. Sorry to hear of your accident my brother , praying for a speedy recovery !! As I know too well, the other driver's insurance will not pay for Rick's medical bills - regardless of who was at fault. Hopefully worker's comp will pick up some of it, since he was en route to the fire house. Can we leave donations at PBFD? Here's to a speedy recovery, Rick. Did not know about this until I saw a sign in the florist shop in town. Sending prayers and healing wishes. What can I say!? So sad to hear this news, praying for you. Lots of memories from Coastal Dry Dock.